If you are still making phone calls from your landline to international numbers then you may well be wasting a lot of money. Many people have transitioned already to using international phone cards. These provide you with the opportunity to phone an interface number and then benefit from discounted international phone calls. There is no need to do this these days though. There is no point going out to a shop in order to find an international phone card when you have everything you need to make these calls from your smartphone or computer by simply connecting to the Internet. Getting a Skype phone is as simple as having a smartphone with 3G or 4G enabled. All you have to do then is download the Skype software from the App Store. Skype is compatible with just about any operating system in the smartphone arena. You do not even need to go for a premium end phone in order to use it as a Skype phone. You could choose a mid-range smartphone or even some of the budget phones. It is even possible to jump onto your Wi-Fi connection and use your smartphone as a Skype phone. Of course, if you want to get on Skype on the go then you will need to have the Internet enabled. However, the data costs on home broadband tend to be cheaper than those when you are out on the go. Make sure that you have a decent amount of data allowance in your contract if you plan to use Skype as your international calling option when you are out and about. When you make international calls the price will depend on where you are phoning. You will also have to pay for the data that you consume during the call. Voice calls are not too data intensive. You will tend to consume around 5 MB of data for every 10 minutes of use. An hour of Skype calling to an international number will therefore consume around 60 MB of data. If you have a data contract of 1 GB or more then you should not have too many problems using Skype on the go a couple of times a month. Of course, if you start using Skype for several hours a day every day, then you will need a hefty allowance of 5 GB or more in order to cater for your Skype usage, alongside the other usage of data on your phone. As well as paying for the cost of the calls you will normally have to pay a connection fee in order to call international numbers. Connection fees tend to be fairly low. For example, phoning a landline in Australia will cost around 1.4p per minute, with a connection fee of 3.9p. Calling South Africa will cost around 13p per minute to a mobile, with a connection fee of 6.9p. In order to find out more about the cost of calls to international destinations you can go to this page. You should also check on the Skype website to find out if you can tap into a monthly package and get extremely affordable international calls. It is possible to pay just a few dollars per month and benefit from free calls to your destinations of choice. This is the most affordable way to make international calls. We saw in the last paragraph the cheapest way to make international calls to landlines and mobiles. However, that is not the cheapest way to make international calls. The cheapest way to make international calls is in fact free! When you make a Skype call, from your device to another device using Skype, you are able to do so for free. The only costs incurred will be the costs of data at either end of the connection. Internet data will be free if you already have a package and so this can be an amazing way to connect and talk to people around the world. In addition, you can chat face-to-face over Skype without having to pay anything. Obviously both parties have to have a decent level of Internet connectivity in order to be able to see each other and have a seamless streaming video chat experience. There is no wonder that Skype is becoming the number one choice for people to connect around the world. It certainly is the richest medium available out there. There are of course alternatives to Skype, such as the iOS Face Time application. They are both video chat and voice chat alternatives, which provide free calls over the Internet. You could also consider Viber, which is an option used by many people around the world. You have to consider the data costs when you are using Skype. It is very easy to overuse your data if you do not have a significant data allowance. It is well worth setting up a data monitoring tool on your device, or checking the existing monitoring tool if you already have one. This can help ensure that you get warned when you are getting close to your data limit. There is nothing more frustrating than running out of data halfway through the month and being without it for the remainder. To avoid this make sure you get a big enough contract so that you can turn your smartphone into a Skype phone. There are many ways that you can use Skype in order to get significant discounts on your international phone calls. Monthly packages are the best way to do this, you need to ensure that you do actually get phone calls through to the destination you want when you get a package; some packages have small print exceptions. These contracts are monthly rolling ones so you can stop at any time. Alternatively, you can pay upfront for a year and benefit from additional discounts. Making Skype to Skype calls is an incredible way to get free international calls. The ability to do so would have been almost unthinkable a decade ago as nowadays the cost of technology and communication has come down so much. 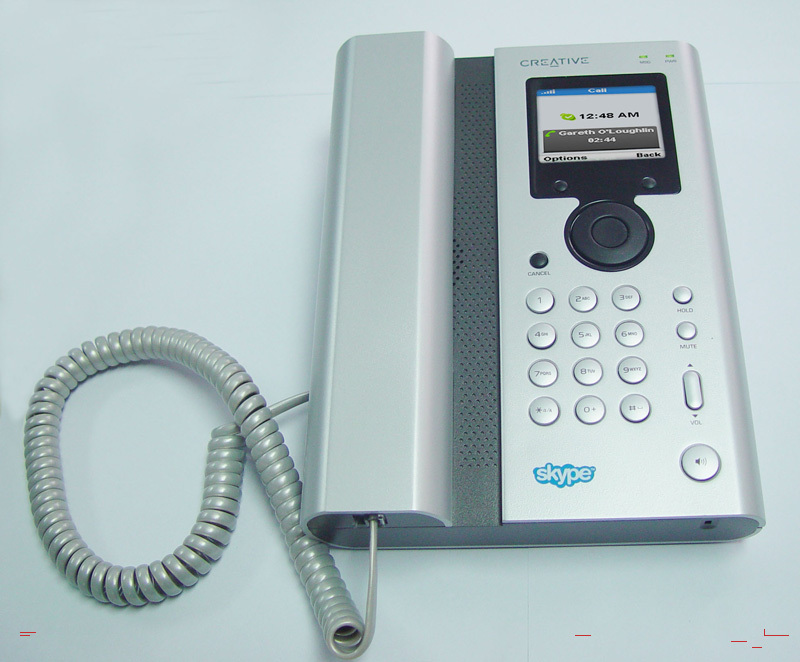 We are very fortunate to be able to tap into Skype, and other VoIP technology, in order to make cheap international calls. It really is possible to halve your international calling costs by getting a Skype phone. Resource Box: After reading reviews on websites including uSwitch, Phil Turner chose to buy a Skype phone in order to reduce his international calling costs to his daughters abroad. What Are My Options For A Cheap Mobile Phone?